Registration deadline is Dec. 29 for upcoming SAIL photography classes | Get Out, Sitka! 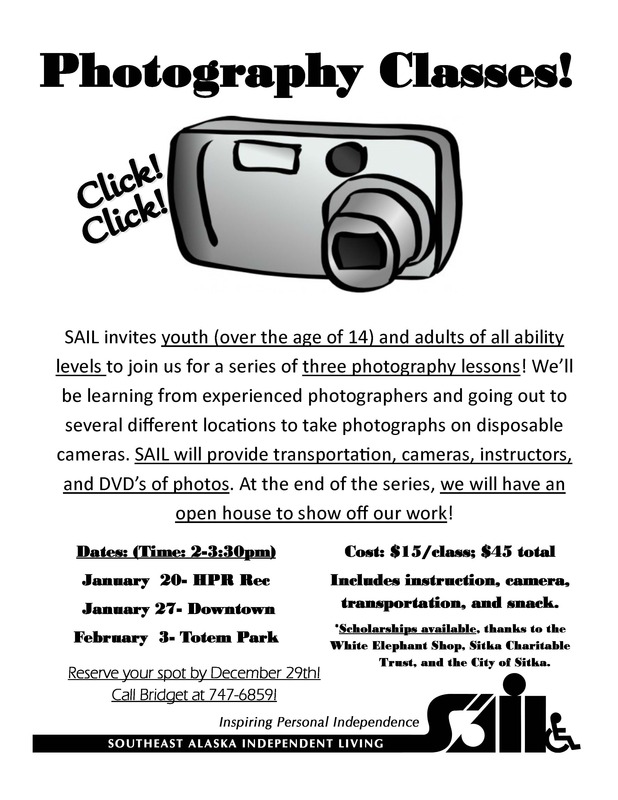 The Southeast Alaska Independent Living (SAIL) program in Sitka is offering a three-session photography class in January to help photographers (adults and youth older than 14 years old) improve their photography skills. 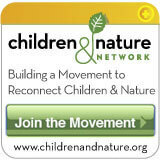 The registration deadline is Monday, Dec. 29. The class will meet from 2-3:30 p.m. on Tuesdays, Jan. 20, Jan. 27, and Feb. 3, at the SAIL office at 514 Lake St., Suite C. On Jan. 20 the class will go to Halibut Point Recreation Area. On Jan. 27 downtown will be the main focus. On Feb. 3 will be a hike along the totem trails at Sitka National Historical Park. The cost is $15 per class ($45 for all three sessions), which includes instruction, a disposable camera, transportation and a snack. Experienced photographers will help teach the basics, and DVDs will be made for a presentation of the photos. For more information or to reserve your spot, contact Bridget Kratz at 747-6859 or bkratz@sailinc.org. This entry was posted in Kids and nature, Outdoor events, Outdoor programs and tagged Alaska, Bridget Kratz, education, encouragement, fresh air, Halibut Point Recreation Area, photography, Sitka National Historical Park, Southeast Alaska, Southeast Alaska Independent Living (SAIL), too much time indoors, totem trails, trails. Bookmark the permalink.